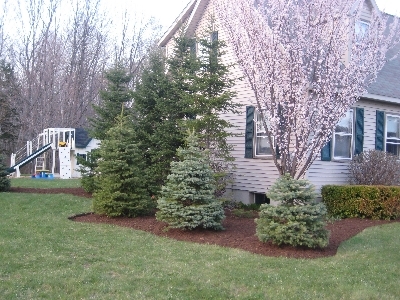 After a long New Hampshire winter, your yard or commercial property will need a lot of attention to get it ready for the late spring and summer. KDI Landscaping will spring clean your property in a way that will allow it to thrive during the summer months. Assess your property damage and create a plan according to your goals and budget. Trim down all bushes and shrubbery. Rake out the lawn to remove all debris deposited by winter. Put down lawn fertilizer and lawn nutrients. Trim edge of driveways and mulch beds. Rake out all mulch beds to remove debris and excess mulch. Sweep/pick up sand from driveways/parking lots. Test and repair any wooden playsets. Pressure wash any areas that mold built up over the winter.